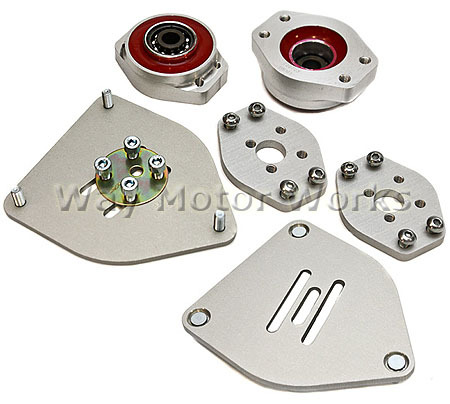 Eibach Front Camber Plates for 2002-2006 R50 R53 MINI Cooper, Cooper S and 2005-2008 MINI Cooper Convertible. 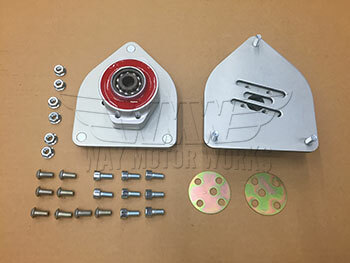 This is a lower cost alternative to the more costly camber plates. If your wanting to get more camber in the front suspension on your MINI this will do it. 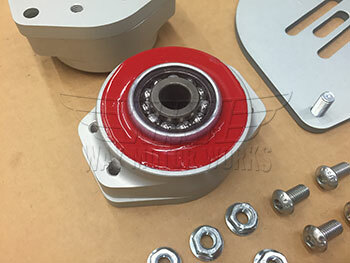 This Eibach camber plates have urethane surrounding the bearings to insulate them and minimize noise. These are designed to be used with shocks that have the same shaft diameter. Come as a Front pair kit as shown in picture.